One of the best experiences on a lake is being able to live on the water. Pate's Ford Marina has what could be called a floating hotel that offers you and your family all of the conveniences of home with 360 degree view of beautiful Center Hill Lake. 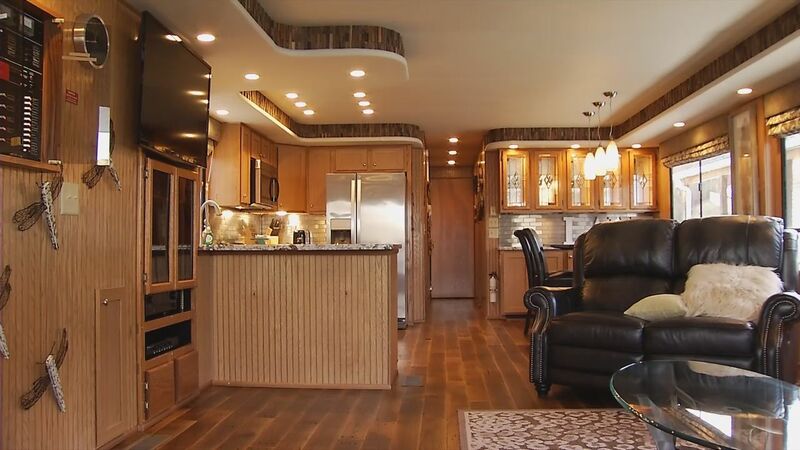 This recently updated 16' x 75' houseboat has four bedrooms with upgrades and standard amenities that includes central heat and air, all new bedding, a large dining area that seats eight, kitchen with utensils and dishware, a tracking satellite and flatscreen tvs (living room and master bedroom) with dvd player, and a new sofa and loveseat…and this is just inside. The top deck has a waterslide, a flybridge, a gas grill and large covered area with enough seating for everyone. Chart your own course and navigate the wide open areas of Center Hill lake from the top of the boat or have it tied to the bank or in a cove and enjoy some peace and tranquility during your time on the water. Your vacation can last as long as you want with the rental options being by the weekend (Fri-Sun) executive for $2450, early week (Mon-Thurs) executive for $2450 or the full week (Mon-Sun)executive for $3450. NON­REFUNDABLE 50% + tax deposit required when reservation is made. Remainder due 7 days prior to departure. One of the best experiences on a lake is being able to live on the water. Pate’s Ford Marina has what could be called a floating hotel that offers you and your family all of the conveniences of home with 360 degree view of beautiful Center Hill Lake. This recently updated 16’ x 75’ houseboat has four bedrooms with upgrades and standard amenities that includes central heat and air, all new bedding, a large dining area that seats eight, kitchen with utensils and dishware, a tracking satellite and flatscreen tvs (living room and master bedroom) with dvd player, and a new sectional sofa…and this is just inside. 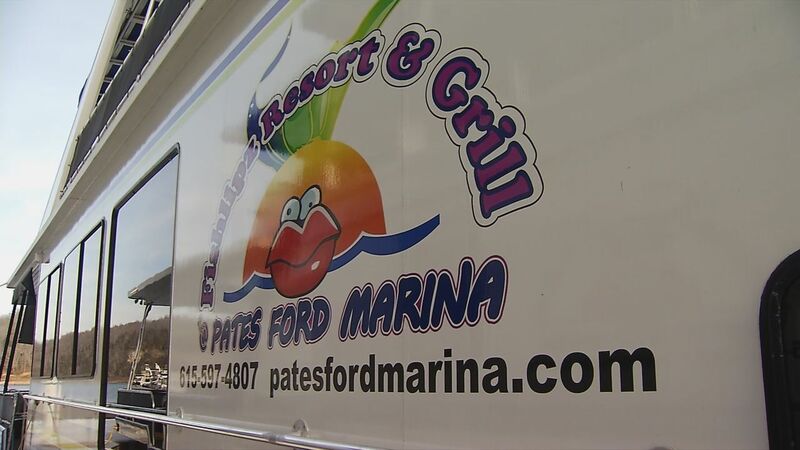 Thank you for choosing Fishlipz Resort & Grill @ Pates Ford Marina as your rental destination. Please read each of the following carefully as this reflects our total houseboat rental terms, conditions and agreement. All four pages must be initialed, signed and returned to us via fax/email within the next 24 hours to confirm your reservations. Please understand, reservations will be confirmed only after completion of this agreement and deposit payment. 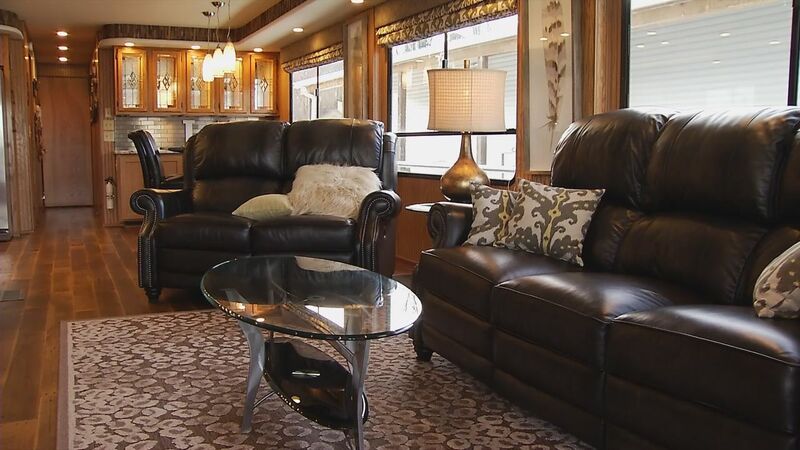 EACH HOUSEBOAT RENTAL WILL BE ALLOWED ONE HOUR FOR LOADING OF PERSONAL ITEMS AND OPERATING AND SAFETY OVERVIEW. THE RENTAL MUST DEPART THE MARINA WITHIN ONE HOUR OF THE SCHEDULED DEPARTURE TIME OR DEPARTURE WILL BE DELAYED UNTIL ALL OTHER RENTALS HAVE DEPARTED. 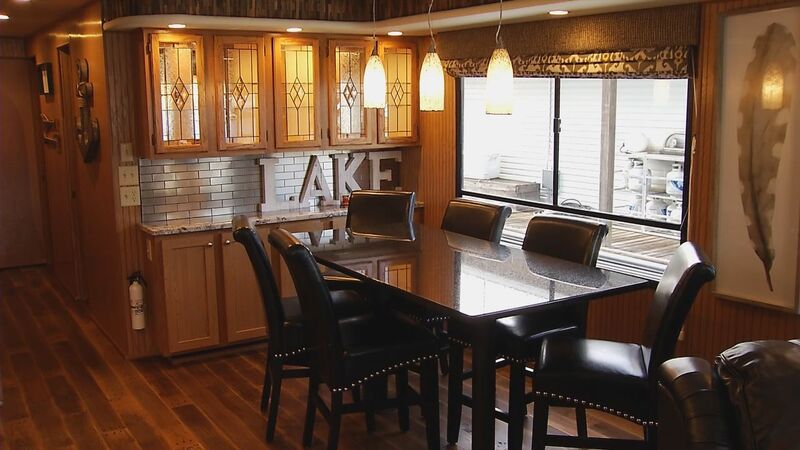 EACH HOUSEBOAT RENTAL WILL BE ALLOWED 30 MINUTES TO UNLOAD PERSONALS AND EXIT BOAT UPON RETURN. FAILURE TO DO SO WILL RESULT IN ADDITIONAL CHARGES OUTLINED IN PARAGRAPH 3 OF THIS AGREEMENT. NO EXCEPTIONs. Drivers. HOUSEBOAT may only be used, operated or driven by CUSTOMER, who is 25 years of age or older and whose name appears on Page 1 hereof. in violation of the terms and conditions of this Agreement. IN NO EVENT SHALL CUSTOMER SUB­RENT OR LEASE HOUSEBOAT TO ANOTHER PERSON OR ENTITY. CUSTOMER’s rights under this Agreement are non­transferable. If HOUSEBOAT is obtained from MARINA by fraud or misrepresentation or is obtained or used in furtherance of an illegal purpose, all rights to the use of HOUSEBOAT are revoked, and subsequent use is without MARINA’s permission. NO PETS OF ANY KIND ARE ALLOWED ON THE HOUSEBOAT. CUSTOMER shall not leave the HOUSEBOAT unattended for any period of time. Delivery and Return of HOUSEBOAT. CUSTOMER acknowledges that CUSTOMER receives the HOUSEBOAT in good condition (except as specifically listed on Page 1 hereof). MARINA MAKES NO EXPRESS OR IMPLIED WARRANTIES WITH RESPECT TO THE HOUSEBOAT, INCLUDING ANY WARRANTY OF MERCHANTABILITY OR FITNESS FOR PARTICULAR PURPOSE, WHICH ARE EXPRESSLY DISCLAIMED. LIABILITY FOR CONSEQUENTIAL AND INCIDENTAL DAMAGES INCURRED AS A RESULT OF USING OR POSSESSING THE HOUSEBOAT IS EXPRESSLY DISCLAIMED. CUSTOMER is responsible for proper maintenance of the HOUSEBOAT while in CUSTOMER’s possession and/or control. The HOUSEBOAT is the property of MARINA and shall be returned to MARINA in a clean condition with a full tank of fuel on the date and time shown on Page 1 hereof, or earlier if demanded by MARINA, together with all Items, in the same condition as when received, ordinary wear and tear excepted. 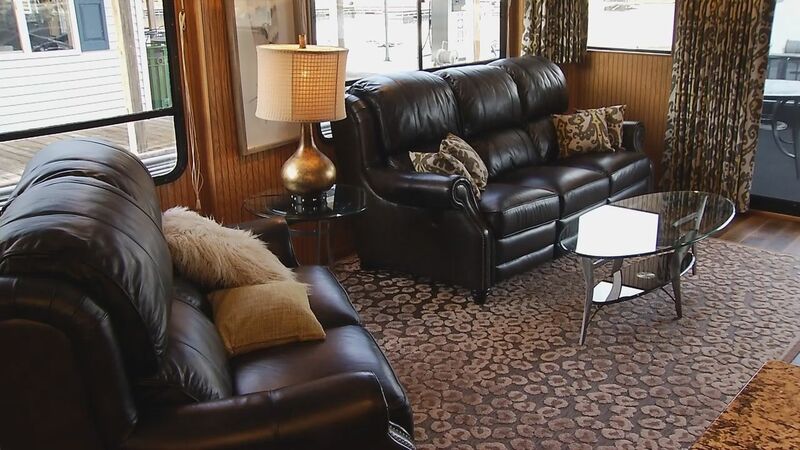 A minimum cleaning fee of $100.00 will be charged for any HOUSEBOAT returned unclean. If the HOUSEBOAT is not returned in a timely manner as stated on Page 1 hereof, CUSTOMER agrees to pay $600.00 per hour or any part thereof. MARINA, or any of its agents or employees, may peacefully repossess the HOUSEBOAT, without demand, or liability for trespass, wherever found, and terminate this Agreement, if the HOUSEBOAT is used in violation of law or this Agreement, or is apparently abandoned. CUSTOMER shall pay MARINA’s costs and expenses in repossessing the HOUSEBOAT. CUSTOMER acknowledges and agrees that due to circumstances beyond MARINA’s control, the HOUSEBOAT may not be available for rental on the Departure Date. In such event, CUSTOMER shall be notified as soon as practicable and shall be given a full refund. MARINA shall have no further liability to CUSTOMER. Responsibility for Loss of or Damage to HOUSEBOAT. CUSTOMER is responsible for any and all loss, damage, consequential damages and injuries while operating, maintaining and mooring HOUSEBOAT at the MARINA. MARINA is not liable for loss or other damage to any property of CUSTOMER or any other person who may have been in or on the HOUSEBOAT. CUSTOMER shall be responsible for damage CUSTOMER may cause to other property in or around the MARINA and/or the MARINA facility itself occasioned by CUSTOMER’s actions or actions of any guest of CUSTOMER. If HOUSEBOAT becomes unsafe or in disrepair for any reason, CUSTOMER agrees to discontinue use of the HOUSEBOAT and notify MARINA immediately. Upon such notification, MARINA will use its best efforts to repair or replace equipment on the HOUSEBOAT with similar equipment in good working order. MARINA is not responsible for any incidental or consequential damages caused by damage, repairs, and delays or otherwise, and no rental will be abated. CUSTOMER hereby assumes all risk of any loss or damage and waives all claims therefor against MARINA. Use of MARINA and HOUSEBOAT. CUSTOMER agrees to use the MARINA and HOUSEBOAT in accordance with this Agreement, and the Rules and Regulations for Conduct, Maintenance and Use of Houseboat and other Watercraft. CUSTOMER shall follow all state and federal laws in the operation of HOUSEBOAT. Failure of CUSTOMER to abide by the foregoing will result in termination of this Agreement. No refund of any portion of the Total Rental Payment will be made in such event. Indemnity. CUSTOMER agrees to indemnify and hold MARINA harmless and the owners of the HOUSEBOAT from and against any and all losses, liabilities, lost profits, special, incidental or consequential damages, injuries, claims, demands, costs and expenses arising from or out of the use or possession of the HOUSEBOAT, injury to CUSTOMER or CUSTOMER’s guests, or in connection with this Agreement and waives all rights to claim any such damage as against MARINA and the owner of the HOUSEBOAT. No Agency. CUSTOMER is not and shall not be deemed to be the agent, servant, or employee of MARINA for any reason or for any purpose. Accidents, Theft, or Vandalism. CUSTOMER shall immediately report any accident, theft or vandalism involving the HOUSEBOAT to CUSTOMER’s insurer, the police, and the MARINA, and deliver to CUSTOMER’s insurer and MARINA, a copy of every process, pleading, notice, or paper of any kind received by CUSTOMER relating to any claim, suit or proceeding in connection with any accident or event involving the HOUSEBOAT. Attorneys Fees. If this Agreement is placed in the hands of an attorney for collection, enforcement, or otherwise, CUSTOMER agrees to pay all attorneys’ fees and expenses incurred by MARINA. Choice of Law. CUSTOMER and MARINA agree that this Agreement shall be governed and construed in accordance with the laws of the State of Tennessee without giving effect to its conflicts of laws principles. The parties hereby consent to the jurisdiction and venue in Dekalb County, Tennessee. No Change of Terms. No employee of MARINA (other than by an officer of the MARINA in writing) has the authority to vary or change the terms of this Agreement or to make any other or additional terms for the use of the HOUSEBOAT. Severability. If any provision of this Agreement is found to be void, invalid or unenforceable, such finding shall not affect the validity or enforceability of any other provision of this Agreement. Entire Agreement and Binding Effect. This Agreement constitutes the entire understanding of the Parties with respect to the subject matter contained herein, and shall supersede all other previous agreements, oral or written, with respect to the same. This Agreement is binding upon the heirs, successors, and assigns of the Parties. Reservations for Fishlipz Resort and Marina houseboat rentals may be made by phone and confirmed upon receipt of deposit and signed contract. A 50% non-refundable deposit must be received when reservation is made. This deposit is applied to houseboat rental amount. We have a no cancellation policy for all rentals. 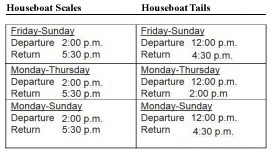 Entire houseboat rental charge is due 7 days prior to boarding. We gladly accept cash, Visa, Mastercard, Discover, and American Express. 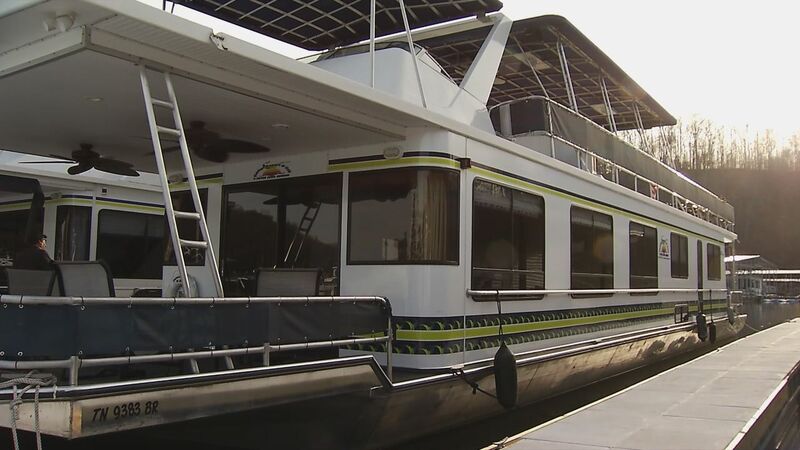 Houseboat rental fee does not include gasoline, oil or Tennessee state tax. 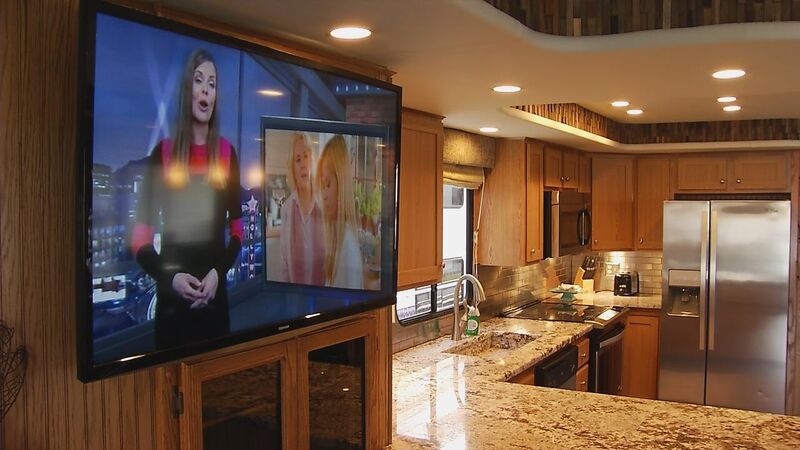 CUSTOMER must check in and be ready to leave at scheduled departure time or CUSTOMER will have to wait until after other houseboat rental departures are complete. CUSTOMER must check in and be ready to leave 30 minutes before dark or boat must remain in marina until the next morning. Final inspection and refueling will be done upon boats return to marina on the scheduled return date. All damages/gasoline used will be charged and due immediately. There are no exceptions to this, regardless of the reason. Marina will provide assistance for breakdowns during daylight working hours as quickly as possible. For the safety of the passengers and marina staff, service at night will only be provided in the event of an emergency. CUSTOMER must have a tender (boat) for safety reasons/emergency. Under the Marina’s discretion, customers without previous boating experience will not be allowed to operate/drive houseboat. Houseboat will be driven to location and secured by Marina staff and retrieved at the end of the rental period. Passengers are responsible for cleaning of boat before return. All garbage must be removed from the boat & carried to proper disposal site or A $100.00 CASH PENALTY WILL BE CHARGED. Houseboats are to be driven in and out of marina by our personnel only. No tubing, pulling of floats or skiing behind houseboat allowed. NO FEMININE PRODUCTS or PAPER PRODUCTS in TOILETS there will be a $150.00 Service charge to remove items. All Children under age of 12 must wear life jacket at all times when outside cabin area.